Turin (Torino) is magical. It’s Italy’s fourth-largest city and has an illustrious past, resulting in elegant squares, world-class museums and historic cafés, flanked by some 18km of colonnaded walkways. History hasn’t stood still here, however: Turin has pioneered a host of innovations, from Fiat cars to the first-ever Slow Food supermarket (housed in an old Fiat factory). Funky new bars spill onto the cobblestone streets of the Quadrilatero Romano during aperitivi, and contemporary art installations grace its baroque buildings and the odd Roman ruin. Turin’s charms aren’t only manmade: to the city’s east, low-lying hills rise above the Po river, while to its west are the mountains that hosted the 2006 Winter Olympics. Depending on what you believe, Turin’s charms aren’t only tangible, either. Allegedly, Turin forms a ‘white magic triangle’ of mystical energies along with Lyon and Prague, as well as a ‘black magic triangle’ with London and San Francisco. Turin also sits at the confluence of two mighty rivers, the Po and the Dora, believed to represent the male and female powers of the sun and the moon. And the city’s cathedral is home to the enigmatic Holy Shroud, which attracts thousands of Catholic pilgrims during its rare public unveilings. Many people consider Torino the European capital of Baroque: many palaces and churches were built in this style during the kingdom of the Savoia. It isn't the typical Italian city, with red and yellow buildings. Turin also has an aristocratic atmosphere - the centre is filled with posh 19th century cafes, regal-like arcaded mansions, debonair glittering restaurants, and grand churches. 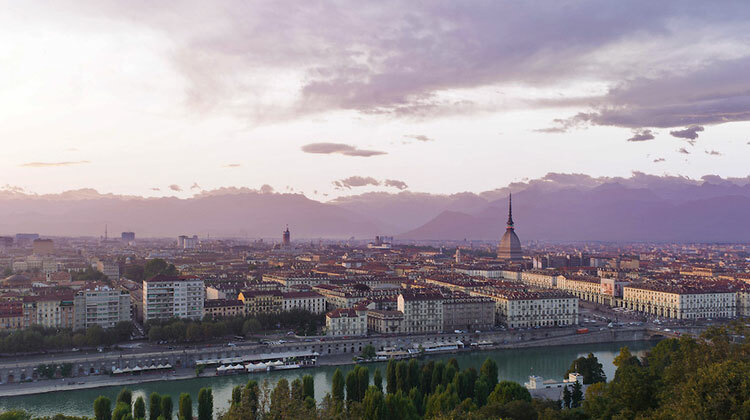 But the real magic of Turin is that it’s relatively inexpensive, green, easy to get around and refreshingly free of crowds, making it a great alternative to the well-known tourist centres as a place to experience Italian culture.